Swiss Luxury watchmaker Manufacture Contemporaine du Temps (MCT) disrupts the industry again. The Swiss brand known for it’s extreme technical complexity and innovative ways to display time just launched online sales. Instead of the traditional online payment, the Swiss luxury watchmaker has opted for cryptocurrency. One can now buy the revolutionary timepieces with bitcoins directly form the website in a few clicks. These unique watches are delivered globally. The sophisticated mechanism with over 600 components bind with the “savoir faire” and impressive design to become a State of Art movement. The company designs and assembles about 100–150 pieces a year in-house, which are all limited edition and high-end, available in boutiques in over 40 countries. 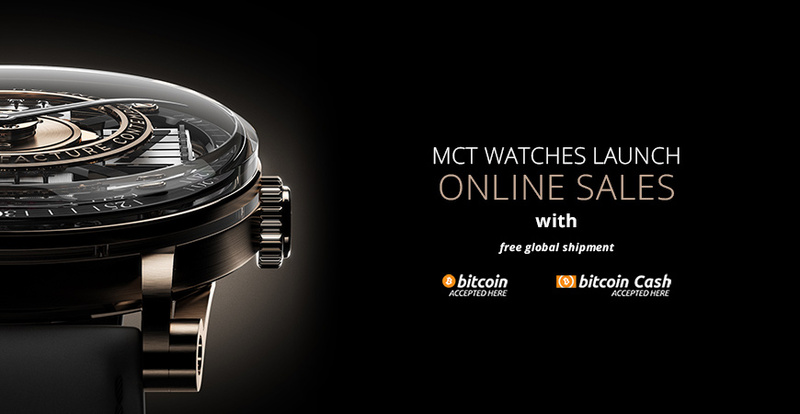 MCT is the first major watchmaker to officially accept online Bitcoin and Bitcoin Cash payments. The company connects to the world’s first borderless payment network by partnering with Bitpay the pioneer and the most experienced company in bitcoin and blockchain payments. Now MCT can receive payments in any amount, from anywhere in the world, from any computer or mobile device opening up new markets and opportunities.